Schedule 40 PVC pipe is used for drainage and lower pressure water flow applications. 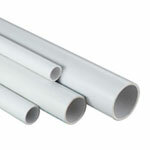 Schedule 40 PVC pipe can handle 140 degrees F in temperature. The pipe comes in standard 10’ or 20’ sections and comes standard plain end or belled end so no coupling is needed for installation. Pipe sizes range from ½” through 24”. 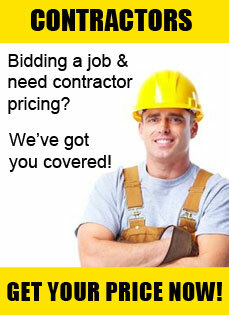 Ease of installation and many application uses are just two great benefits of this pipe. Schedule 40 PVC pipe is designed to handle pressure applications as well as many chemical corrosive jobs. It is recommended to use a strong, sturdy primer and cement when installing schedule 40 pressure pipe. A standard medium set PVC glue is recommended for sizes up to 12”. When gluing pipe over 12” you should go to a slow set glue in order to give yourself ample time to get the connections done properly and securely. Schedule 40 PVC Pipe adheres to ASTM D 1784 and is NSF approved for potable water service.